Central Washington University Board of Trustees Friday awarded an honorary degree to James D. “Jim” Honeyford, a CWU alumnus and a Washington state senator from Sunnyside. The honorary degree will be conferred during the Ellensburg campus commencement ceremonies scheduled for June 10 at 9:30 a.m. at Tomlinson Stadium. Honeyford holds three CWU degrees, including a BA in sociology, a BA in education, and a master of education in instructional media. In 2014, he received the first-ever College of the Sciences Alumni of the Year award for social sciences. In 1994, Honeyford was elected to the Washington House of Representative, serving the 15th Legislative District. After two terms, he was elected to the Senate in 1998, to which he has been re-elected four times. Honeyford is Senate Vice President Pro Tempore, chair of the Capital Budget Committee, and vice chair of the Ways and Means Committee. He serves on the Energy, Environment and Telecommunications Committee, and the Agriculture, Water and Rural Economic Development Committee. He worked as an Ellensburg police officer for six years before moving to Sunnyside for a 30-year career as a teacher, coach, and librarian in the Sunnyside School District. He has been a farmer since 1995. Honeyford has been active with the Washington State Farm Bureau, Sunnyside Daybreak Rotary Club, Washington State Grape Society, and Sunnyside Chamber of Commerce. He is a lieutenant colonel in the Civil Air Patrol, and former Washington State Historical Society trustee, Sunnyside City Council member, and Habitat for Humanity board member. 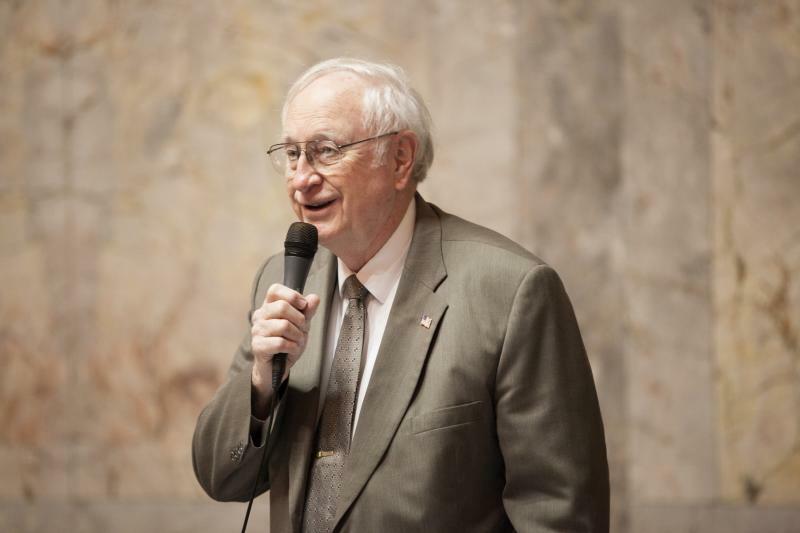 The Washington Coalition for Open Government honored Honeyford with the “Key Award”; the Association of Washington Business gave him the Jim Matson Award; and the Washington Association of Agricultural Educators named him legislator of the year. Honeyford has also received the Outstanding Leadership Award from the NW Chapter of Paralyzed Veterans of America; and the Appreciation Award from the Latino/a Educational Achievement Project. Honeyford and his wife, Jerri, have four adult children.